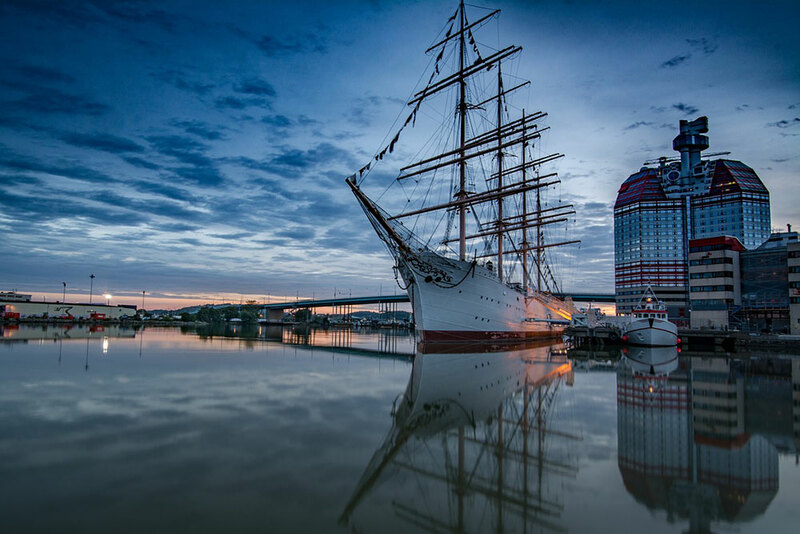 Pop up breweries, hipster boutiques and rocking music festivals… there are plenty of places to visit, and things to see and do, during a weekend break in Gothenburg. Hanna Johnson guides us around this progressive port town. As the second largest city in Sweden, Gothenburg is often compared to it’s bigger sibling, Stockholm. Where Stockholm is refined, Gothenburg is quirky and artistic. As the city expands it has retained its “working class” essence as an old port city. 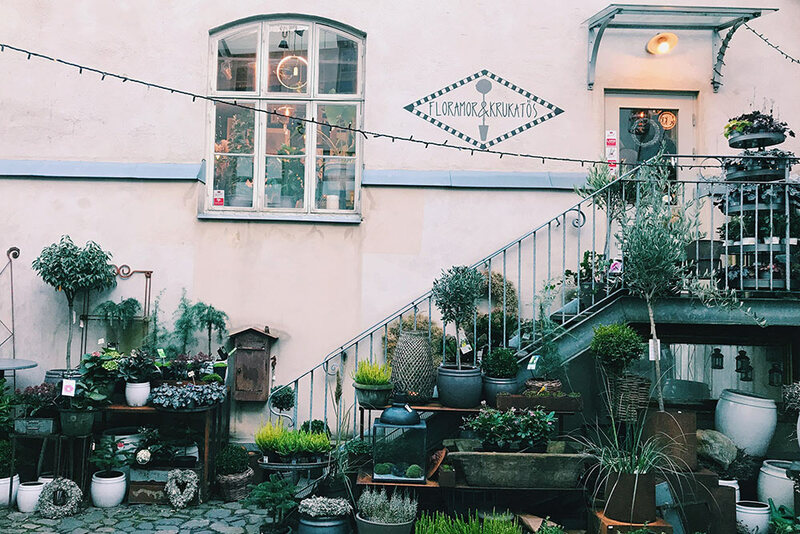 Although you will find posh interior design stores on every block, and every local you see looks to have walked off a H&M catwalk, Gothenburg has held on to its grungy, underground reputation through its ever-booming industrial presence and music-focused festivals. Like the rest of Sweden, Gothenburg is blessed with natural beauty to everyone’s liking. Parks, forests, salt and freshwater are all available within a quick public transit ride. That makes it easy to explore the city in the morning, take the afternoon sun by a lake, river or sea (or stream, or pool… the Swedes love water), and be back for fika, the nation’s daily coffee ritual (the Swedish have one of the world’s highest coffee consumption per capita!). Swedes may get a bad rep for being one of the least friendly societies in the developed world, but just wait for Afterwork (Swedish happy hour) to see the locals cut loose in a way that makes you feel like a Dancehall Queen (yes, you must become Robyn obsessed to enter Sweden). Unsurprisingly, most locals speak perfect English so feel free to ask for directions or suggestions and you may get to enjoy a little Swedish lesson along the way. The beauty of visiting Gothenburg lies in enjoying its rich history and crowd-free attractions. Although the city is steadily becoming more well known, so that latter claim may not age well. In other words, get here sooner rather than later. Traditionalists should be sure to stop by the Museum of Gothenburg for an interactive look into the Scandinavian lifestyle and journey to become the city we know today, complete with a history of Nordic Gods and a Viking ship. The Volvo Museum is a bit of a trek but I assure you, the Volvo busses to and fro will guarantee a safe journey. (Hint, hint, Volvo is from Gothenburg, probably half of the people you’ll see work there). The Gothenburg Museum of Art (konstmuseum) is a beautifully curated space with a surprising amount of works from famous artists you are bound to have heard of, along with plenty of Scandinavian artists and exhibitions. 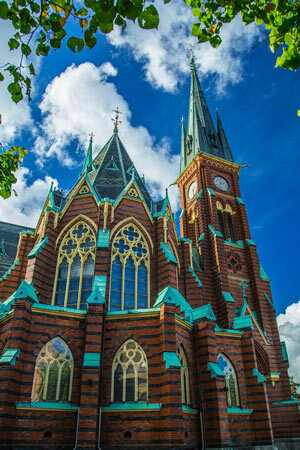 The mint green and terracotta Oscar Fredrik Church is one of the city’s most recognisable landmarks. Relaxing boat tours take you through the city’s canals to enjoy a fisherman’s-eye view of this once-thriving port city. When you’ve had enough knowledge thrown at you, give yourself a nice picnic or fika at one of the many beautiful parks Gothenburg’s city center has to offer. Slottsskogen is sprawling at 137 hectares and boasts a free zoo. If you’re visiting in the winter, be sure to stop by Trädgårdsföreningen (good luck with pronunciation) with the Palmhuset, a beautiful small-scaled Crystal Palace greenhouse. Both parks hold various cultural events and concerts. Lastly, get out in the true nature! Vasttrafik (public transit) is incredibly well connected to nature with the ferries departing from Saltholmen to the southern archipelago where you can hop from carless to peopleless islands. Or head to the nature reserve of Delsjö where you will find several lakes, beach volleyball and football (soccer) fields, and plenty of hiking and running trails. Gothenburg is a millennial’s delight! As a millennial, I really appreciate the affordability of some of the unique experiences this city has to offer. First and foremost, Frihamnen Port is just across the river on the island of Hisingen and holds Jubileumsparken, a former shipyard that now focuses on environmental development to bring the community together. You can get hot and bothered by the architectural beauty of the sauna (complete with a dipping tub to get that Scandi experience), a public salt-water pool, a playground, and a beach. They even have an outdoor roller derby rink and free sailing lessons! The neighborhood of Majorna is becoming a hipster’s mecca thanks to the stylish cafes and breweries with cryptic hours popping up (prepare yourself, alcohol is NOT cheap). You may have to do a little hunting but you will be sure to find some treasures, be they items or experiences, in this district. Gothenburg is very on trend. Be it fashion, plants, or music, you’ll be sure to find what you’re looking for in the city center. 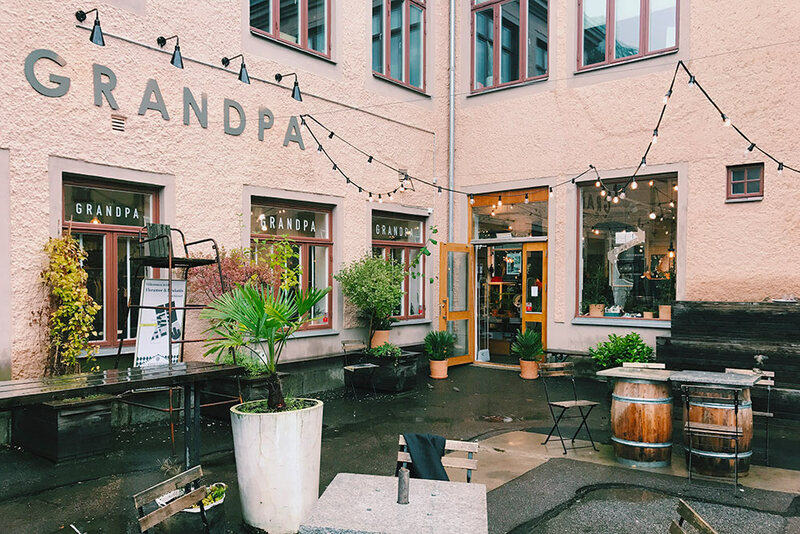 Walking around Kungsportsplatsen, you’ll see the typical stores, but peak into those you may not have heard of, like Monki, Weekday, or Grandpa for some Scandinavian fashion. Go plant shopping in Kungsportsplatsen! Be sure to check out their many thrift stores like Pop Boutique. Get plant envy at Floramor & Krukatos or the over 100 year old La Fleuriste. And finish your day at the uber cool Unity Jazz, where you can listen to live music in an intimate environment as you sip your Aperol Spritz or local beer. Apart from the island hopping, sunbathing (clothing optional), and the many options at Jubileumsparken, squeeze in a daily fika, especially in the Haga neighborhood. Fika is a designated time for coffee, something sweet, and to catch up with friends. Fika can be at any time of day and is the best way to wrap a Swede into spending time with you. Go to Cafe Husaren while walking along quintessential wooden buildings and grab a coffee and kanelbullen (cinnamon bun). What one may find surprising is the musical talent that is birthed in Gothenburg. In August, the city hosts the 3-day Way Out West Music Festival with a refreshing array of genres, just don’t forget some rain boots. And, of course, Midsummer. Midsummer is the festival of fertility in the most tasteful form possible. Swedes typically high-tail it to their, or a loved one’s, country house to drink copious amounts of schnapps and eat fish and potatoes while wearing flower crowns and singing silly songs. This includes a giant, suggestively shaped, Maypole decorated in flowers and people joining hands and dancing around, especially with children. 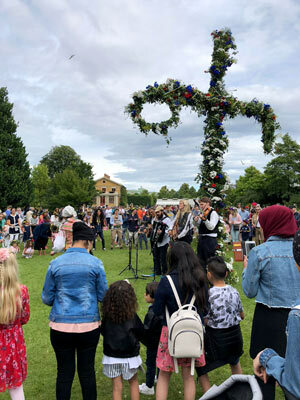 People say you need an ‘in’ to get the true Midsummer experience, but Trädgårdsföreningen holds a fantastic celebration for all ages. Hotels in Gothenburg are all held at a high standard but it’ll cost you. The Scandic Hotel chain includes free breakfast for a reasonable price. The Clarion Hotel Post is a chic option and hosts monthly Afterwork Parties so be sure to check their calendar. For budget travelers, the Linnéplatsens Hotel and Hostel can offer you an exquisitely clean bunk or room in a perfect location. And for those extreme budget travelers, or those looking for some fresh air, keep in mind that all public land in Sweden is camp-able. That’s right, you can pitch a tent on a beach or on the side of the road (not recommended) and you’re 100% legal to do that. Something the Swedish call Allmansrätten, just make sure to be respectful and follow their slogan, “do not disturb, do not destroy”. Gothenburg has really branched out from their pickled fish and potatoes past to foodie scene. For fika (or coffee if you’re still not on board) try Da Matteo or Brogyllen Bakery. For the best pizza outside of Naples (dare I say as good?) head over to BOV and try to squeeze in to this 22-seater pumping out the pizzas while jamming to Bowie. 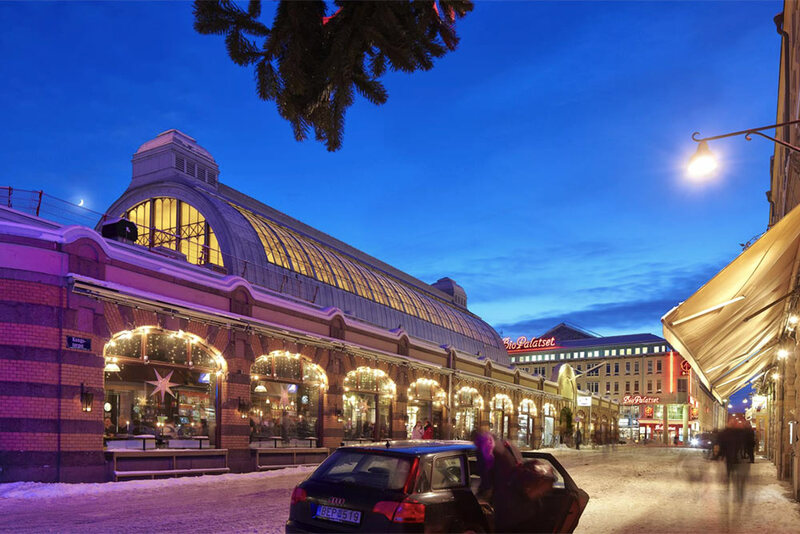 For some traditional Swedish food, along with options for all, go to Saluhallen, a food hall that has been operating since 1888. And for lunch, there are plenty of all-you-can-eat soup and salad restaurants, and the one that reigns supreme is Soup & The Kitchen, on the same street as BOV. For the amount of alcohol the Swedish consume, you would never guess the high cost for a pint. Start your night off at Kafe Magasinet, a trendy, semi-cheap bar with a glass ceiling and beautiful plants and people everywhere. It also shares it’s terrace with Olssons Vin, a wine bar. If you want to continue your night in this area, the street of Andra Langgatan has plenty of bars. Or you can head over to Avenyn and try the multi-levelled clubs Lounges and Yaki-Da with espresso martinis and different music on each level. 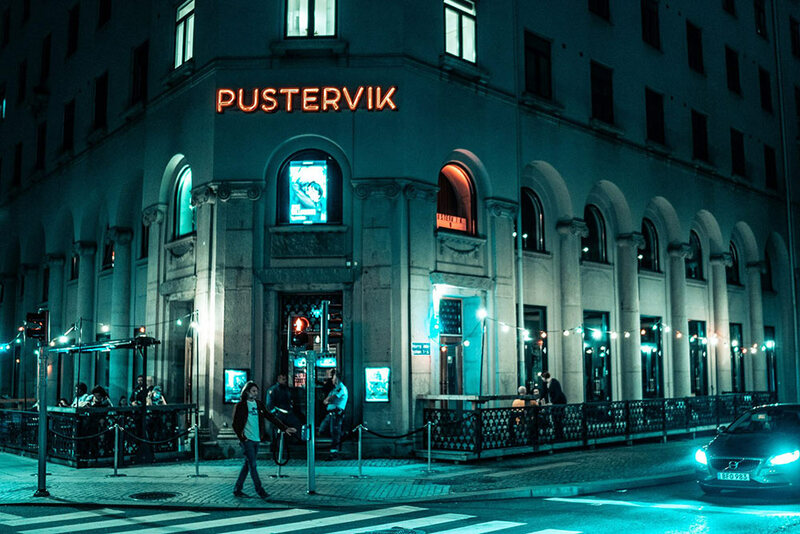 Another great option for dancing and/or live music is Pustervik. Gothenburg has Landvetter Airport but is also a 3 hour train ride from Copenhagen, Oslo, and Stockholm, so be sure to check your options. SJ Trains is a comfortable ride but busses are also available. If you do fly in to Landvetter, make sure to buy a bus ticket into the city with flygbussarna to save the expensive car hire. Gothenburg’s Official Visitor Guide does a superb job of highlighting all the happenings in the city. The city was recently covered by a the New York Times. 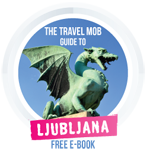 Lonely Planet is a complete resource with some good lists. 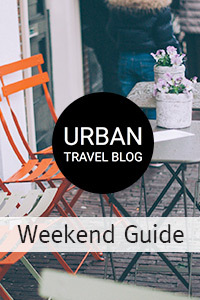 Check out West Sweden travel guide for more information on Gothenburg as well as areas surrounding the city. The Swedish are avid readers. They seem to be keen on Crime novels and the authors of the country have become world famous. Though set in Stockholm, The Millennium trilogy, aka The Girl With the Dragon Tattoo trilogy is a highly recommended read. For cinematic inspiration check out Play, directed by Ruben Östlund, and The Square, which set in Stockholm, but parts are shot in Gothenburg. Ingmar Berman, despite being an east coaster, is a treasure in Sweden, and it’s worth checking some of his films before boarding your plane.